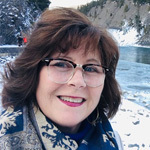 Enjoy a multilingual walking tour through the highlights of Rome, visiting the Largo Argentina and continuing on to Campo de’ Fiori, Piazza Farnese, Piazza Navona, the Pantheon, the Trevi Fountain, and the Spanish Steps. 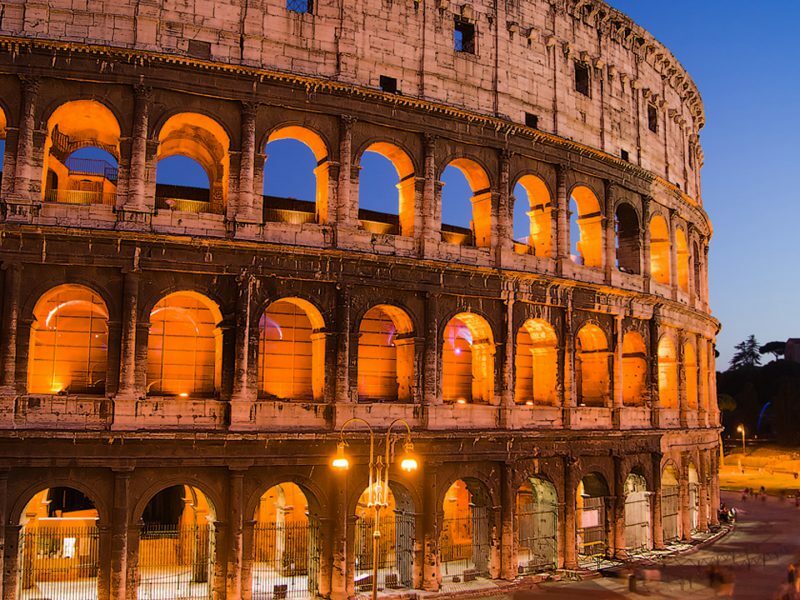 Also on your Roman itinerary is a visit to the Vatican Museums, a treasure trove of the world’s most extensive art collections, the Sistine Chapel, and St. Peter’s magnificent Basilica. In Florence your morning will be spent at the Accademia Galleria, view Michaelangelos most important works, and the afternoon in the heart of Florence; the Loggia del Bigallo overlooking Piazza Duomo, the Cathedral with its Brunelleschi dome, the Baptistery of San Giovanni with the Porta del Paradiso (Gates of Paradise) and the elegant Giotto bell tower. 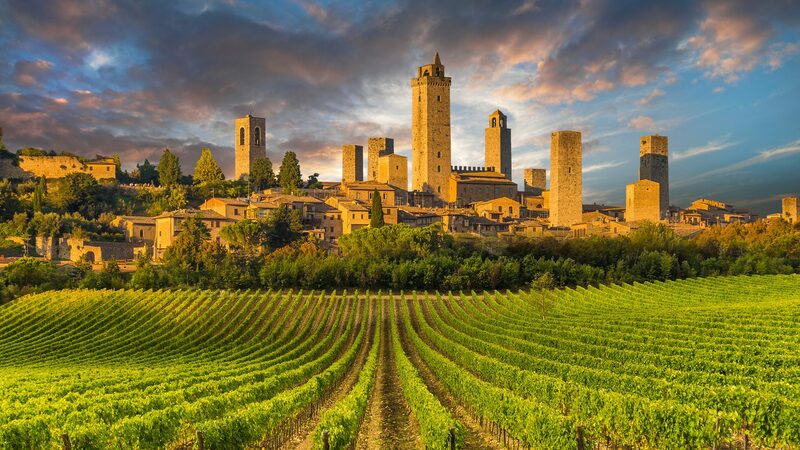 Depart for Siena on day 6 driving through the lovely Chianti vineyards, and take a guided walking tour of Siena through its 13th century streets and squares. 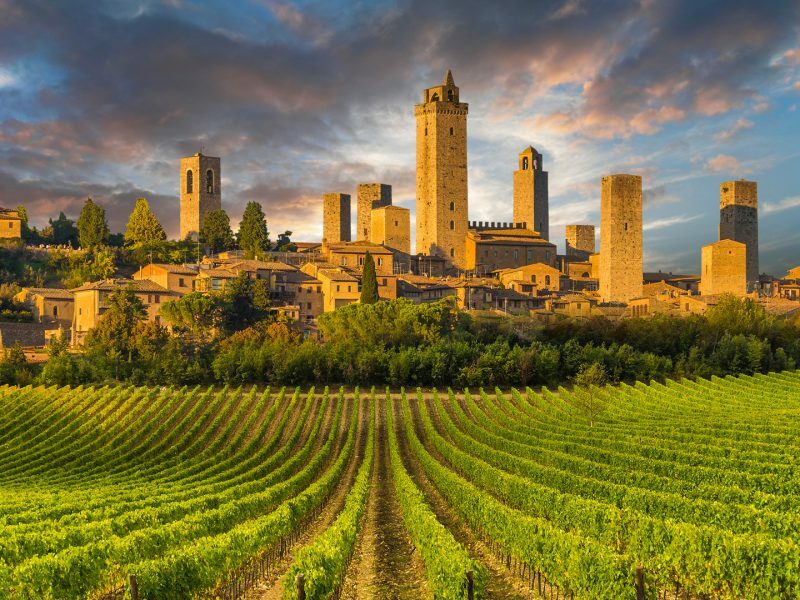 Then enjoy Tuscany’s famous wines, meats, and cheeses at a local farm. After lunch, San Gimignano is only minutes away. Considered one of the most beautiful medieval hilltop towns in Italy, it is a UNESCO World Heritage site. And, finally, to Pisa to finish your Ciao Tours semi-escorted tour at one of the world’s most famous landmarks, its Leaning Tower. 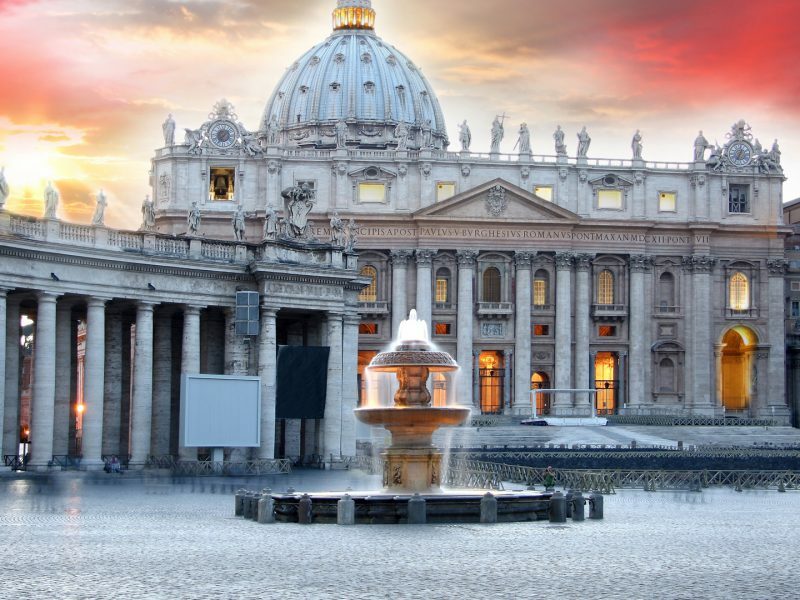 In a single morning you will move in centuries and discover top attractions of Rome. This itinerary begins at Campo dei Fiori, certainly one of the most characteristic squares in Rome with its “open-air” market. Next to Campo dei Fiori we will admire the magical charm of Piazza Farnese, which takes its name from the imposing Palazzo Farnese. Proceed then to Piazza Navona, one of the most famous squares in the world. 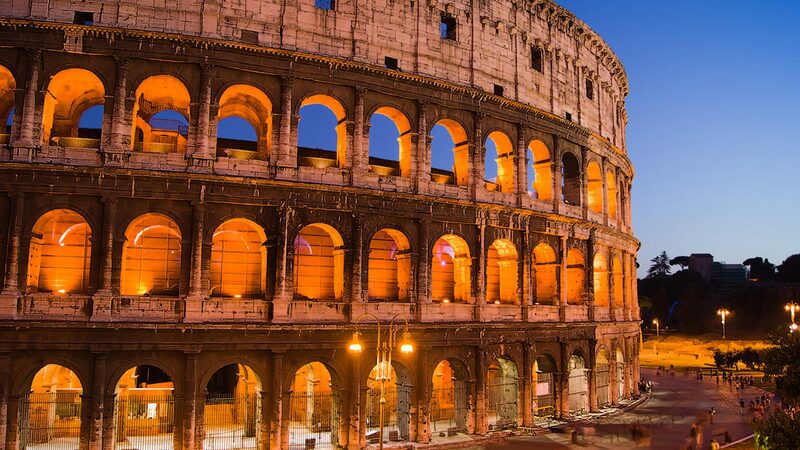 Its original shape repeats with extreme faithfulness the perimeter of the ancient stadium of Domitian built in 89 A.D. The symbol of the square is the “Fountains of Four Rivers”, designed by Gian Lorenzo Bernini and competing with Borromini’s famed church S.Agnese in Agone. In a ten minute walk we reach Piazza della Rotonda housing the unmistakable structure of the Pantheon. The Pantheon has been well preserved and is a true masterpiece of architecture. Once inside, our expert guide will be glad to give a short explanation about the history and the architectural secrets of the building. From Piazza della Rotonda the distance is short to Piazza Colonna, thus named after the 2nd century marble column celebrating the victories of the Emperor Marcus Aurelius over the Germanic populations. At present the square is the centre of the Italian political life, which gravitates around Palazzo Chigi, the seat of the Prime Minister. We then cross Via del Corso and in just 5 minutes we are at the Trevi Fountain, a true masterpiece and certainly the most famous and spectacular fountain in Rome. The last stop of our itinerary will be Piazza di Spagna, (Spanish Steps). Extremely original in shape, it has always been the meeting place for travellers coming from all over the world. In the centre of the square you will admire the Fontana della Barcaccia made by Pietro Bernini. This area is surely a paradise for the fashion conscious shopper and you will find the most important and famous names of the Italian style. Relaxing Afternoon on own. With 2000 rooms filled with the most extensive collection of art in the world you will be led by an expert guide along the history of this outstanding Museum. You will marvel at the sight of the Sistine Chapel, one of the most famous and visited sites in the world. Ordered in the late 15th century by Pope Sixtus IV (hence the name “Sistine” Chapel), it is the most emblematic example of papal patronage during the Renaissance period. Thanks to the genius of Michelangelo, you will have an unforgettable experience. This great artist created the masterpiece painting on the ceiling, The Creation of Adam, as well as the incomparable Last Judgment, on the altar wall. But the Vatican Museums are not just the Sistine Chapel… along the tour our guide will show you more art jewels such as the Pio Clementino halls with the Laocoon and Apollo Belvedere, the Candelabra, Tapestries and Maps Galleries. 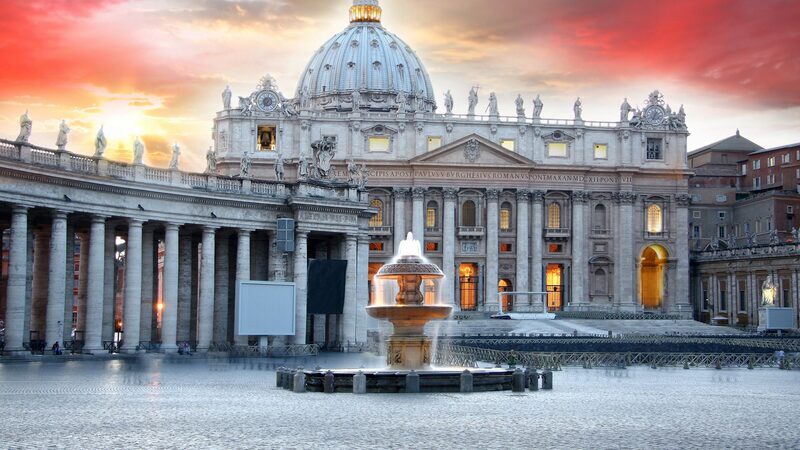 We will then leave the Vatican Museum and proceed to the imposing beauty of Saint Peter’s Basilica. 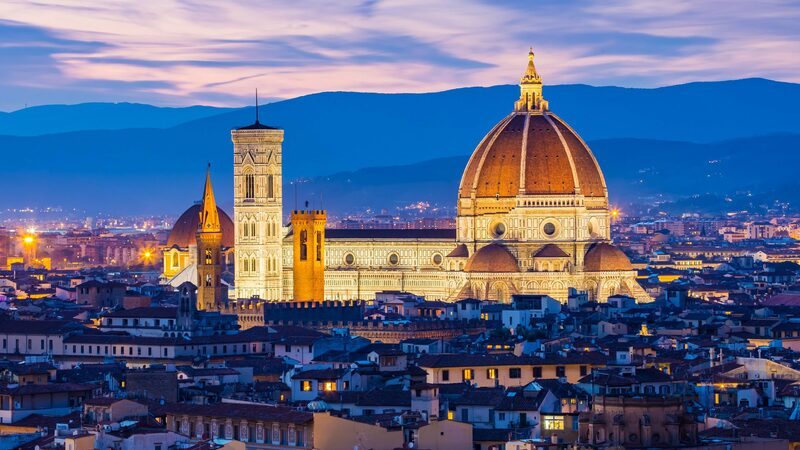 Its dome was designed by Michelangelo who also designed the plan of the Renaissance church. Inside this church we will experience the beauty of the world famous sculpture La Pietà (another Michelangelo masterpiece and the only sculpture personally signed by the artist). And in the meantime, we will discover the originality of another art genius, Gian Lorenzo Bernini. Thanks to him you can admire the extremely impressive Baldachin Altar (in gold and bronze), and the splendid Colonnade in St. Peter’s Square. In booking this tour, you will find it to be the highlight of your holiday. Join us for this unique art experience within such rich architectural history. Relaxing Afternoon at Leisure. 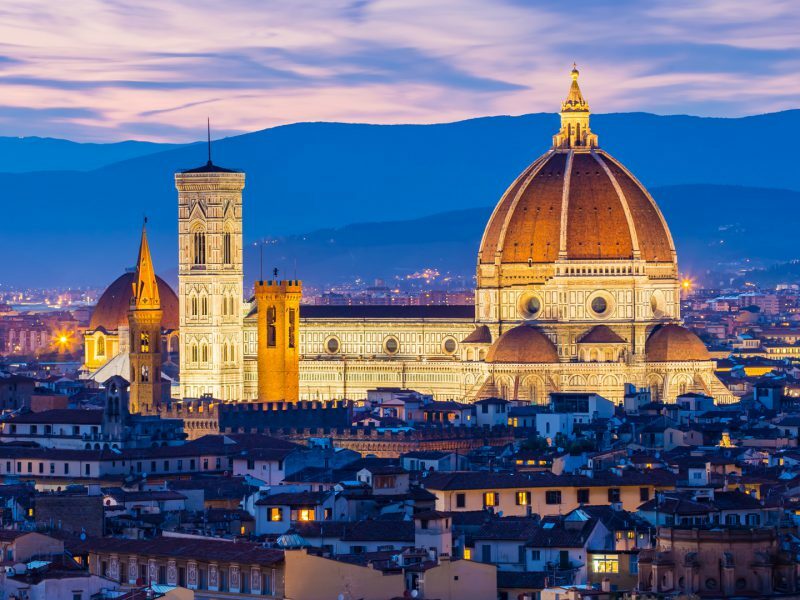 Tour concludes with private transfer to Florence Airport or train station.